What’s the value of just one heavy hitter in your organization? It’s true, you can earn $5k to $20k or more per month from the efforts of just ONE person on your team. Chew on that for a moment! Today, I want to share some advice on how to recruit a heavy hitter from another MLM Company, the right way. Let me begin by telling you that I don’t think you should try to recruit someone from another company into your company. I don’t think that’s every ethical and I know you wouldn’t want someone from another company trying to recruit your downline members into their company. That being said, I do think it makes sense to build strategic alliances with other successful distributors in your company, and many other MLM Companies. You should build friendships and and connect with as many successful people in our industry as you can. Surround yourself with talent and rub elbows with successful distributors whenever possible. You see, companies come and go. Most successful distributors switch companies SEVERAL times (or more) during their career. Just because they are happy today with their current company doesn’t mean they will be with them forever. Their company might go bankrupt, change the compensation plan or get new ownership. I’ve known people with HUGE organizations that got their distributorship terminated, they resigned, or their company went bankrupt. What you want to do is position yourself for success when this happens to someone else. You want these successful distributors to think of YOU when they are looking for a new opportunity. In order for that to happen, you need a plan. You must remember that people naturally do business with people they know, like and trust. People don’t join companies. They join people! What I want to do in the paragraphs below is share my exact blueprint on what I think you should do to attract heavy hitters to your team. 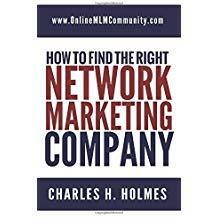 First and foremost, you need to have a long-term view in your network marketing business. I’m not talking about months or years either. I’m talking about decades, and multiple decades. You have to make the decision that network marketing will be your career, even if you are just part-time right now. You want to be anchored in to the industry and to your company. You have to be a visionary and see things before they exist. If you’re only going to try out the industry or dabble around with it, this advice will not work for you. There are MILLIONS of people in this industry and there are tons of generic events you can attend. You should attend all of your company events and start meeting the successful people in your own company, even if they are not in your upline. Get their business card, get to know them and create a favorable impression with them. In addition, attend generic network marketing events and meet successful people. Get their business card. Don’t try to recruit these people at the event. Instead, be nice and show a genuine interest in them. Your ultimate goal is to become friends with as many successful distributors as you can. Try to attend at least one event every single month. This is where you start to make your money. As you meet all of these successful distributors from different companies, your goal is to build up a large database. Within a few years, you want to build up a database of several thousand successful distributors. Keep their name, email, phone number and mailing address. This is your list. And if you treat your list right it could be worth millions to you. As you build your list, your job is to stay in touch with everyone on your list at least once every 90 days. Once a month is ideal. You can send out a newsletter, a hand written note, an article reprint, or anything else that offers value. Once again, you’re not trying to pitch these people on your opportunity. Your goal is to provide value and get these folks to know you, like you and trust you. As you’re following this process, you need to become successful yourself. Stay persistent and consistent with your company and build up a large team. As you are on your journey, a funny thing will happen. People will start to contact you. Some of the people on your list will look for a new company to join, because their company went away or they had a change of heart. Successful distributors looking for a new company will seek you out because you stayed in touch with them frequently and became a person of value. Even if just one out of every 500 people you ever met decided to team up with you, it would be well worth it. Once again, just one heavy hitter can be worth tens of thousands per month in overrides and commissions. Find a few heavy hitters and you are set for the long haul. This shouldn’t be your primary business building strategy, but I think it makes sense to do this while you are building your business. My strategy for doing this is quite simple. I meet as many network marketers as I can. I send out a monthly MLM Newsletter in the mail, free of charge. I get people’s permission to add them to my mailing list. I send out the newsletter every month no matter what. My newsletter provides value. I also send out handwritten notes and other helpful things to cultivate my relationship with my database. When the timing is right, people seek me out! MLM Heavy Hitters can change your life. While I don’t believe you should try to cross-recruit people from other companies, I do believe you should meet successful people in our industry and build a friendship with them. You should build a database of names, stay in touch often, and provide value. If you can do that for a period of years, you will attract the right people into your business and you should be able to recruit a few heavy hitters. What are your thoughts about this strategy? Leave a comment below to let me know what you think. I look forward to hearing from you. Surrounding yourself with successful people is never a bad thing! Especially starting out. Keeping and fostering these alliances is vital, especially to keep a chorus of positive voices around oneself. Successful people want the same for other many of the times. This is a great post and brings to light something that many do not think about when first starting out. We should all spend time with people who uplift us and encourage us, not people who bring us down. I think that this is a great strategy. You approach this in the best way possible. You put your name and face out there but you’re not trying to take someone off of someone else’s team, and you’re not pushy or anything. I like the newsletter idea a lot, and the fact that you ask people first if you can add them to your mailing list. I mean, what would it hurt? And the may be the one thing that grabs their attention to reach out to you if something happens with their company. Building a list and staying in regular communication with that list is very important. I make it a point to get contact information for everyone I meet, especially other successful distributors. I then create a schedule for e-mail outreach, phone calls, and sometimes even face-to-face meetings or luncheons just to check in. Surprisingly, when people have had issues with other organizations or simply wanted to expand their earning potential/streams of income I have become a first choice in their minds because I always remained present and positive. It is a good strategy that does work. Yes, staying in touch with people frequently is very important! I firmly believe that you should never try to “steal” someone from a different MLM company. As you said Chuck, we wouldn’t want someone to do that to us, we shouldn’t do it to them. I do believe that we need to get to know these “heavy hitters.” We can learn from them even if they never join our team. Providing them with our contact information will give them a place to search out if their current MLM has problems. Heavy hitters can come from a variety of sources. We need to just keep showing the opportunity and never give up. The heavy hitters will come, but even light hitters can make us rich. Not every team can have home run hitters, but as long as the team is getting base hits, they win. Great analogy Greg. Yes, base hits will take you pretty far in this industry. Yes Chuck; I truly believe that in many cases network marketers sometimes miss out. They sometimes get so caught up in trying to get the “heavy hitters,” that they bypass the light hitters. I use the baseball team analogy because it fits. I have seen teams trying to draft the home run hitters and spending all their money doing it. That home run hitter gets hurt and they come in in last place. Another team picks up 3 base hitters for the same price. Ok, one gets hurt, but they are still in the running to make the playoffs. The key is: pick up all the hitters you can. Maybe you’ll get one that can’t even hit, so teach them how. Get as many as you can and just maybe you may get a Babe Ruth too.